Love the look of this coat! Runs true to size. 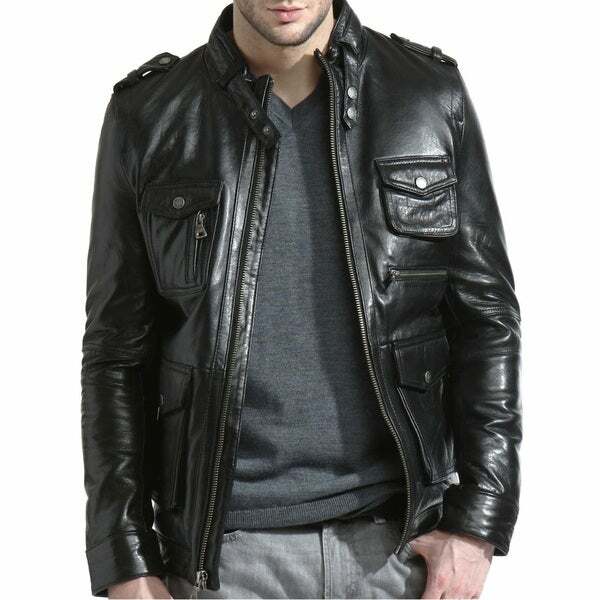 Dress up sharp in this Tanners Avenue men's ultimate leather moto jacket and feel like a million bucks. Offering ample pockets for storage, this jacket suits the traveling dude well. Despite the fact that this was not the product I thought I ordered, I have decided to keep this. I actually ordered a distressed leather coat. I was unhappy when I got this, but I do like this coat. It is functional and attractive and the fit is excellent. I am looking forward to a long life of wear. This coat is awesome! Purchased as a gift, hoping it fits!! Soft, looks great on and he is going to love it! Price was excellent..it also fits me perfect. Will update when given, as per fit, etc.